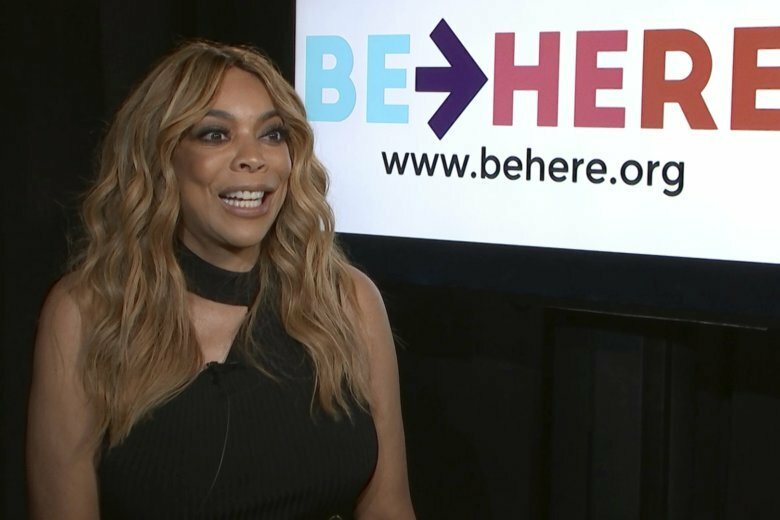 NEW YORK (AP) — Talk show diva Wendy Williams feels lucky to be alive after more than a decade of cocaine abuse and now wants to help others be present in their own lives. Williams has been giving back through the Hunter Foundation, created with husband Kevin Hunter, since 2014. The two recently added a new anti-drug initiative, BeHere.org. Their goal is to raise $10 million in five years to fund such things as drug treatment facilities and research, the latter focused on K2. Williams detailed her own drug abuse in her 2003 memoir, “Wendy’s Got the Heat,” written with Karen Hunter. Williams began, as many do, as a cocaine dabbler. Her habit grew to 3 grams a day over a decade in broadcasting, first in radio. She said she quit on her own without the use of rehab or any assistance. Substance abuse and addiction are discussed and dealt with much more openly today, but there’s a long way to go before complete acceptance, she said. “People are embarrassed. People don’t want to talk about it. People ignore the family member who’s always five sheets into the wind, as they say. For people who get clean, sometimes it’s difficult for them to admit that they were a substance abuser because there’s a stigma,” Williams said. Williams recalled some of her own lows. She passed out in the bathroom of a radio station where she was working overnights years ago, returning for a visit recently while promoting her TV show to notice the baseboard she had knocked off the wall was still missing. She had sneaked out of the studio to use cocaine during a long song. Getting clean led to bigger things, including her transition from radio to TV. Williams celebrated her 54th birthday in July and began the 10th season of “The Wendy Williams Show” earlier this month, complete with a fresh take on her theme song done by Fergie. Williams celebrated her birthday with a fundraising bash to support Be Here.